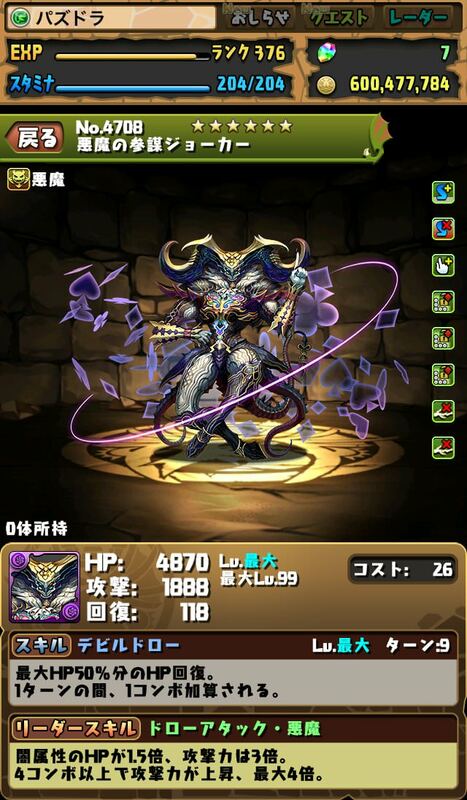 GungHo collaboration, featuring units from all the various GungHo games~! 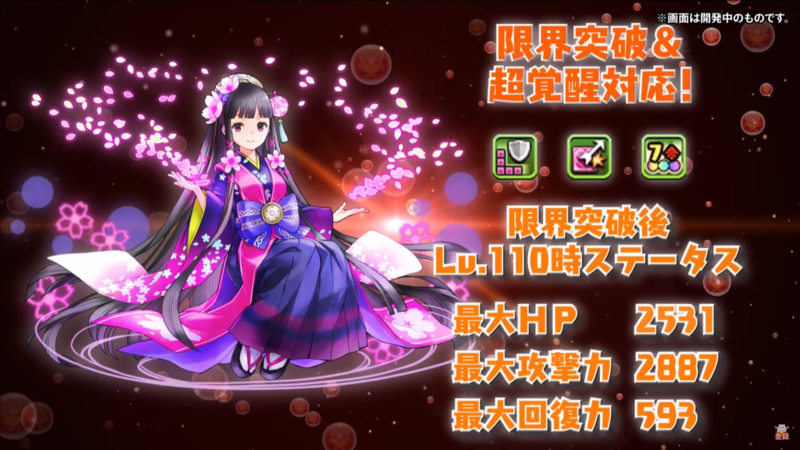 Active: 40% max HP heal for 6 turns. 1 turn Haste. 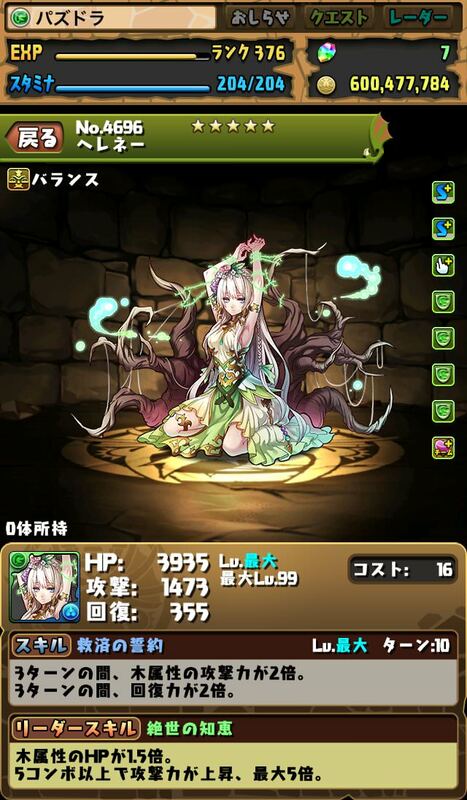 LSkill: 3x ATK & slight damage reduction when Fire & Dark attack. 3x ATK when Heal matched. 2x ATK on skill use. Active: Change Heal, Jammer & Poison to Water. 3x ATK Water for 1 turn. 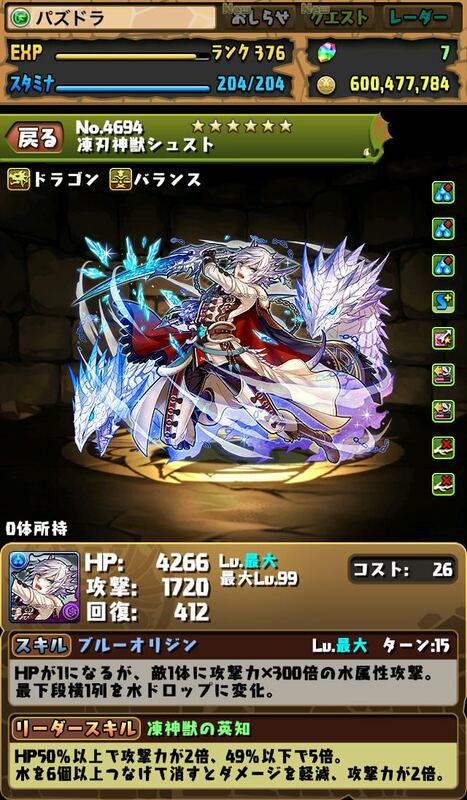 LSkill: 3x ATK for Water. 2x ATK on skill use. 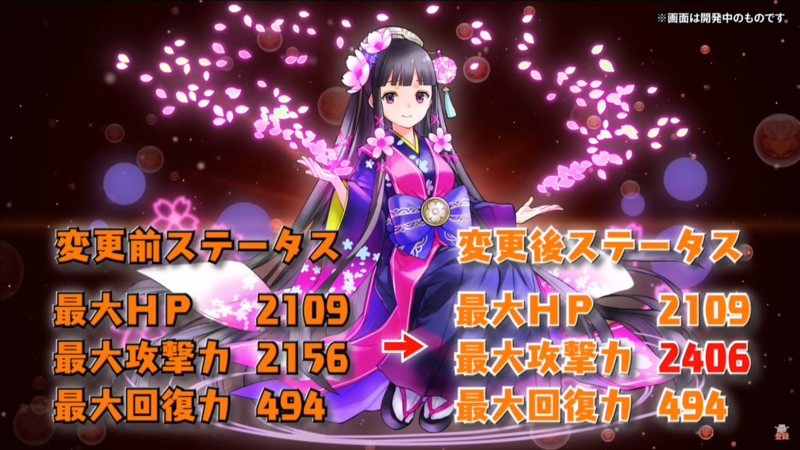 3x ATK & slight damage reduction when 3+ attributes matched. Active: Change left column to Dark, right column to Wood. Deal 40x team's Wood ATK to all enemies. LSkill: 2x HP Wood & Dark. 6x ATK when Wood & Dark attack. Deal 100x ATK damage to all enemies after every orb elimination. 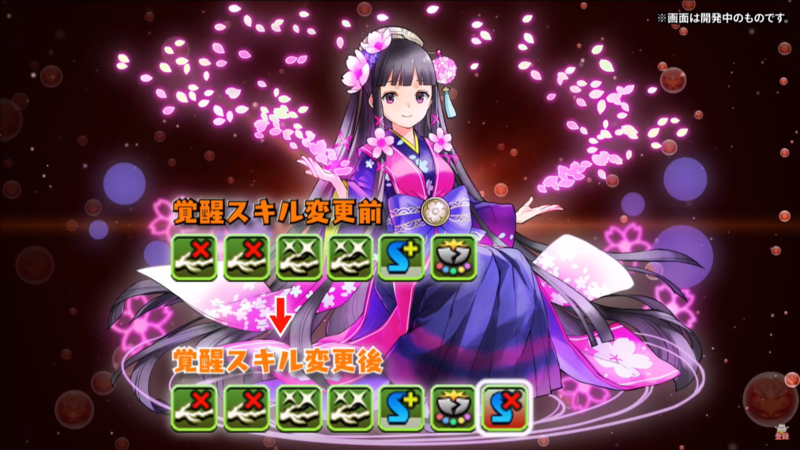 Active: For 2 turns, Heal 50% of max HP & 50% damage reduction. 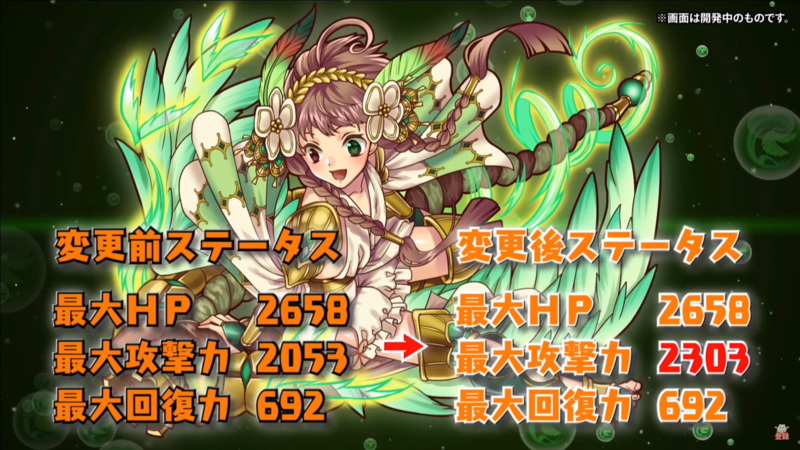 LSkill: 4x ATK & slight damage reduction when HP > 80%. 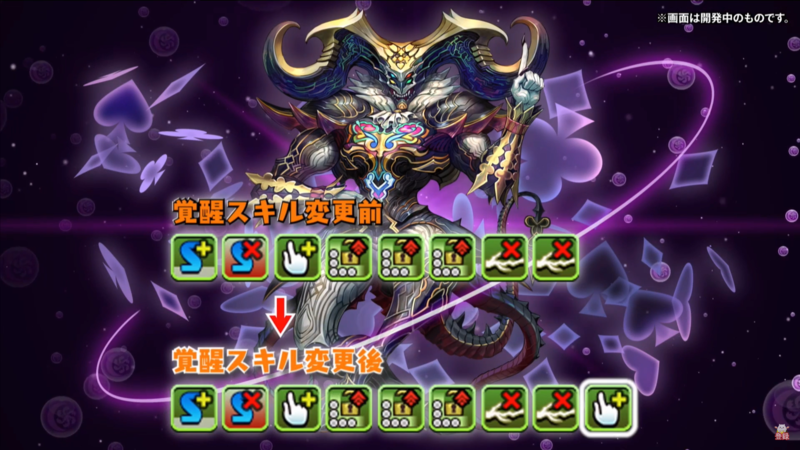 4x ATK when matching 6 or more connected Light. 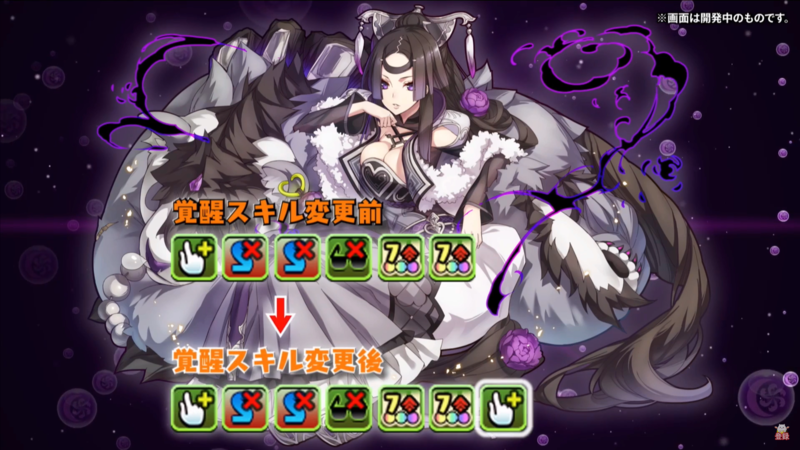 More units were added to the GH collab PEM as well. Active: Change Dark to Wood & Light to Heal. LSkill: 2.5x HP Wood. 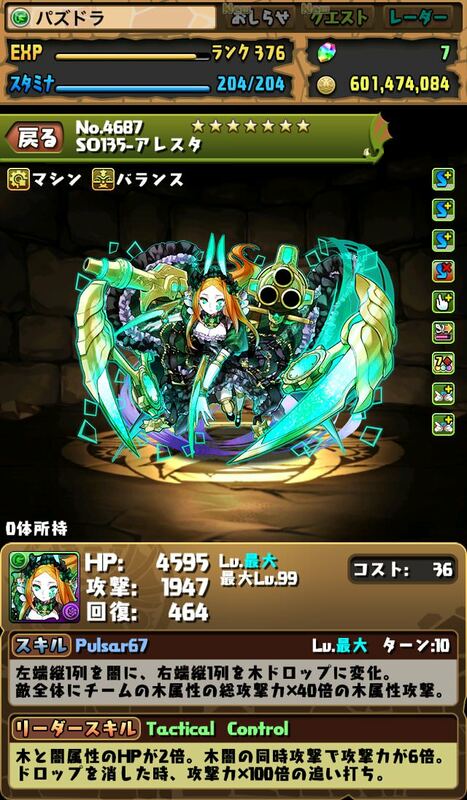 Heal 5x RCV after matching. Active: Deal 10x of team's Fire ATK to 1 enemy. Change second row to Fire. 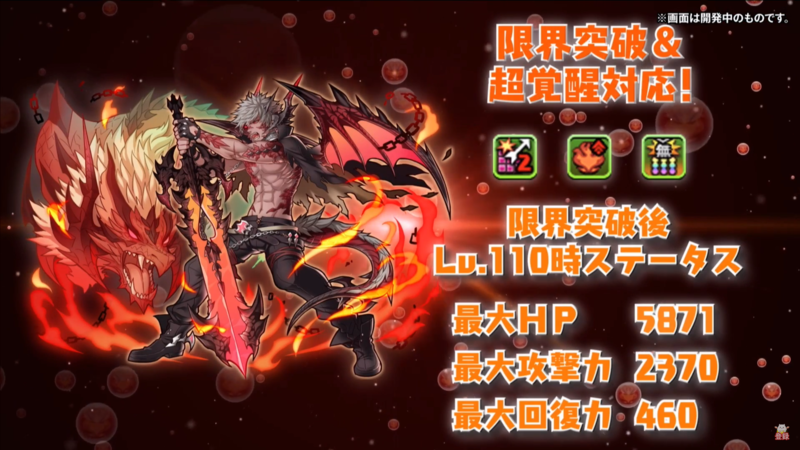 LSkill: 1.5x all stat Fire. 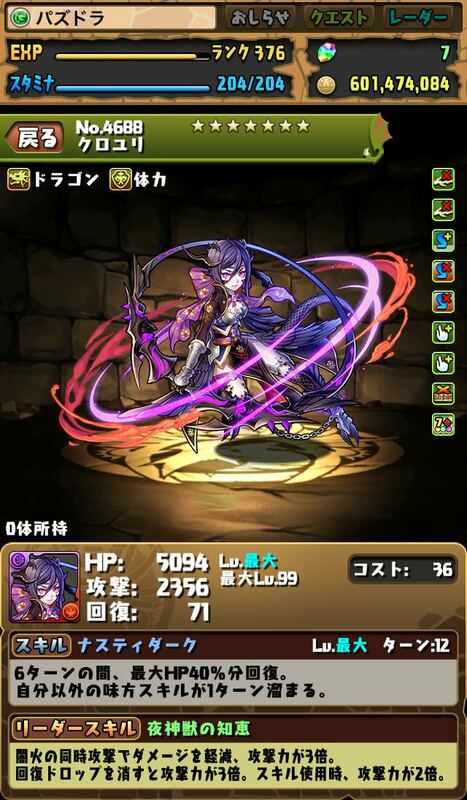 Active: Inflict 200x ATK Wood Mass Attack. LSkill: 1.5x HP Attacker. 3.5x ATK when 4+ combos are matched. 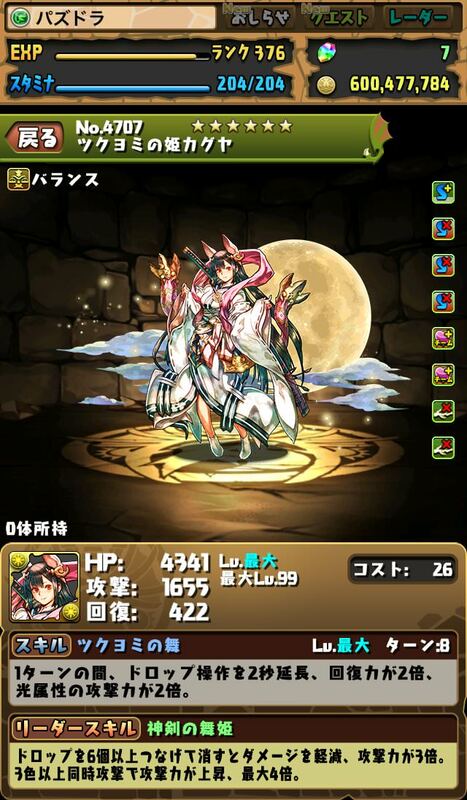 3x ATK when HP > 50%. Active: Delays enemies' next move for 1 turn. 2 turn Awoken bind recovery. LSkill: 1.5x HP for Physical. 3x ATK when Water & Dark matched. 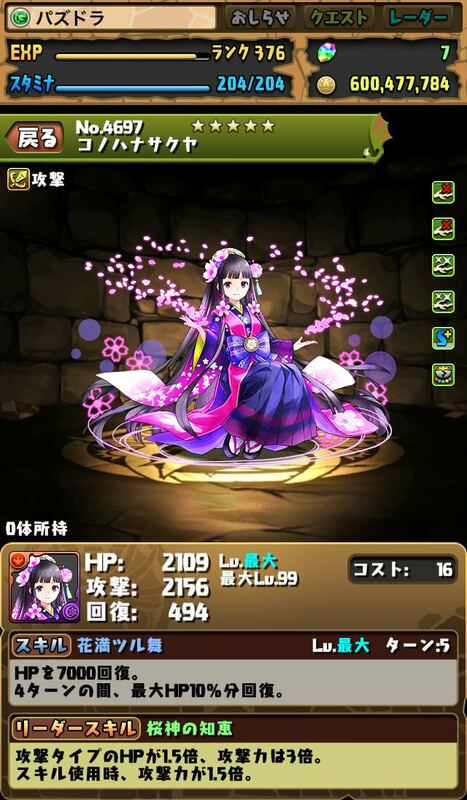 4x ATK when HP < 50%. Active: Delays enemies' next move for 2 turns. Slightly increase Water skyfalls for 3 turns. Active: Deal 200,000 true damage to all enemies. 2 turn haste. Active: Reduce orb movement time by 50% for 1 turn. Change left column to Heal. 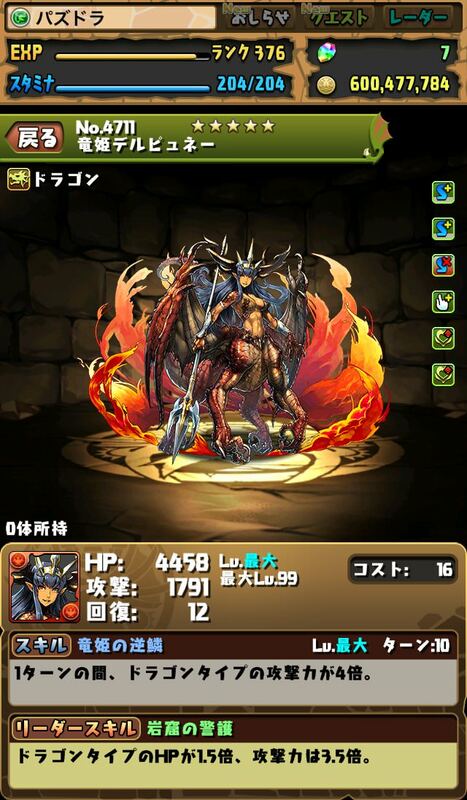 LSkill: 2x ATK for Fire. 4x ATK when matching 2 or more Heal combos. Reduce damage taken from Fire & Wood by 50%. 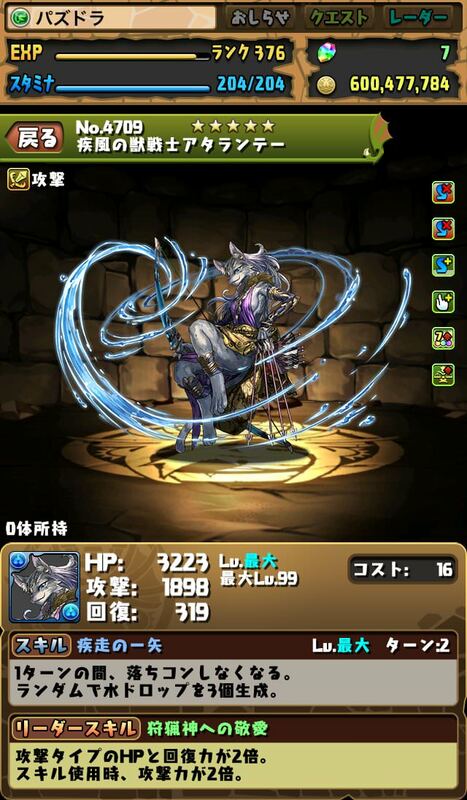 Active: 4x ATK for Dragon for 1 turn. Deal 250x ATK Light damage to all enemies. 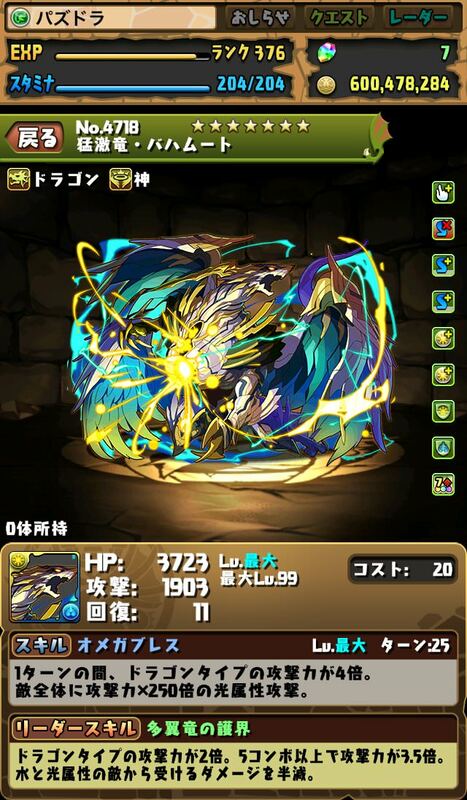 LSkill: 2x ATK for Dragon. 3.5x ATK when 5 or more combos. Reduce damage taken from Water & Light by 50%. Active: Slightly reduce damage taken for 2 turns. Active: Deal 1,000,000 Light damage to all Fire enemies. Active: Recover 7,000 HP. Recover 10% of max HP for 4 turns. 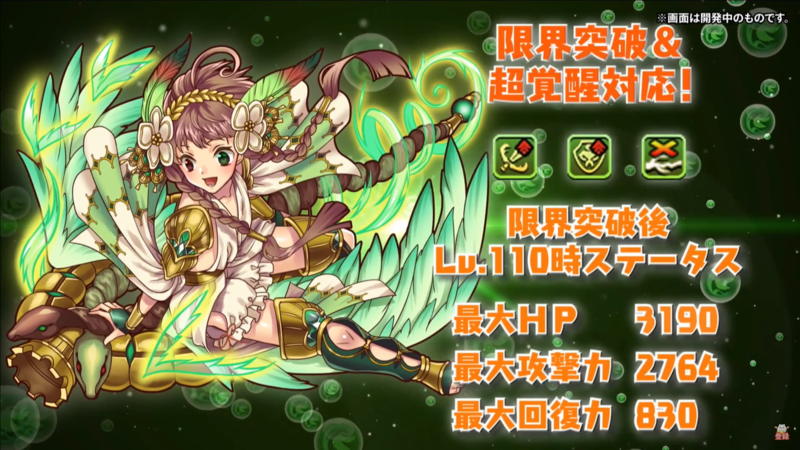 LSkill: 1.5x HP & 3x ATK for Attacker. 1.5x ATK on skill use. 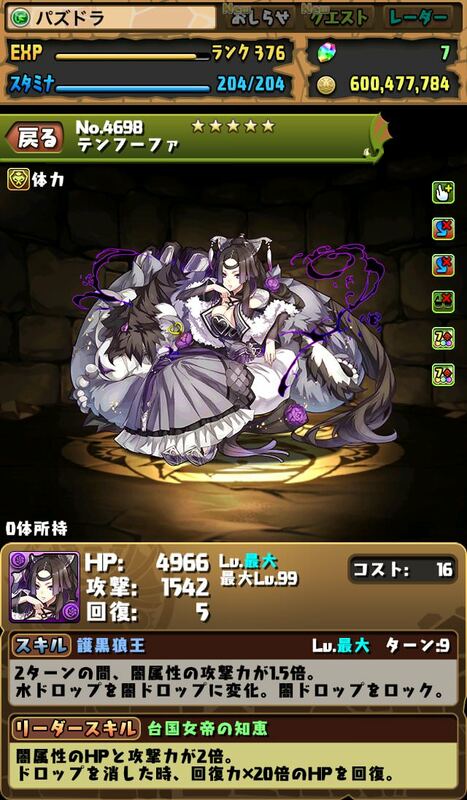 Active: 1.5x ATK Dark for 2 turns. Change Water to Dark. Lock Dark orbs. 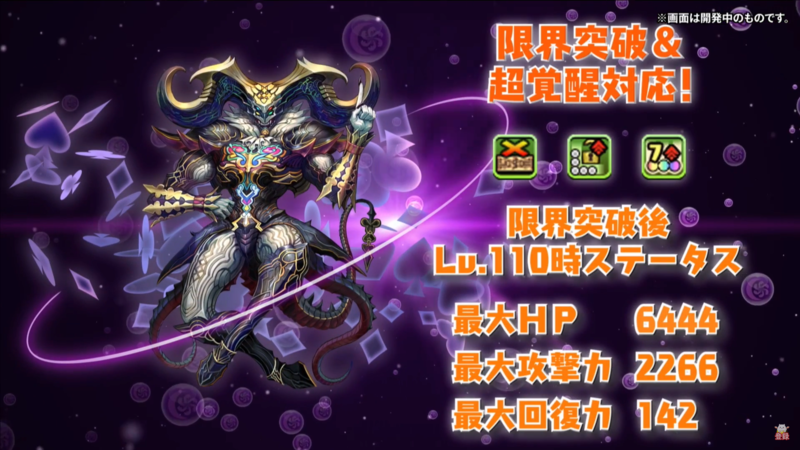 LSkill: 2x HP & ATK for Dark. 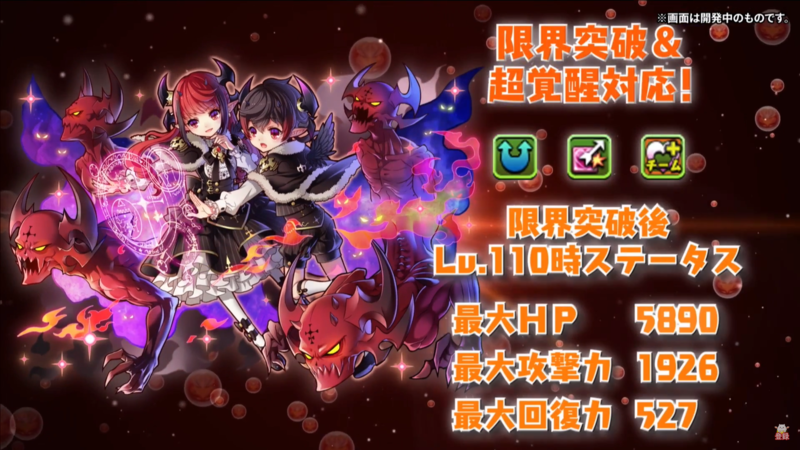 Recover HP equal to 20x RCV when matching orbs. Active: 2x ATK for Wood for 3 turns. 2x RCV for 3 turns. LSkill: 1.5x HP for Wood. Increase ATK when 5+ combos matched, up to 5x ATK. Active: No skyfalls for 1 turn. Randomly spawn 3 Water. 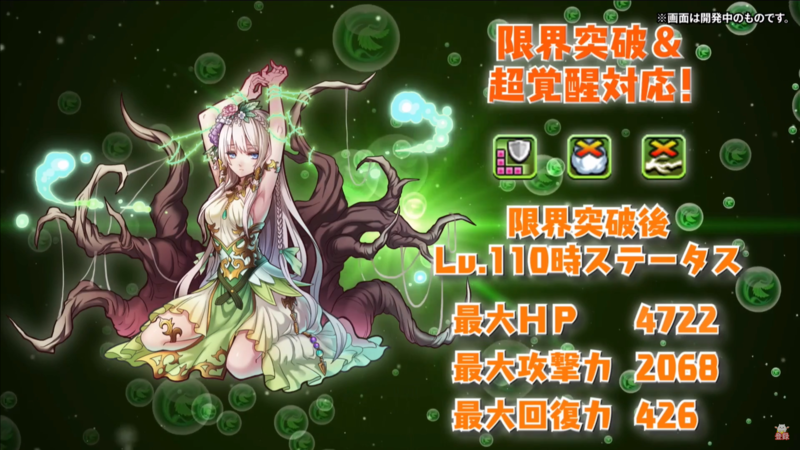 LSkill: 2x HP & RCV for Attacker. 2x ATK on skill use. Active: Delays enemies' next move for 1 turn. Change all orbs to Water, Wood, Light & Heal. LSkill: 1.5x HP for Balanced. Increase orb movement time by 2 seconds. 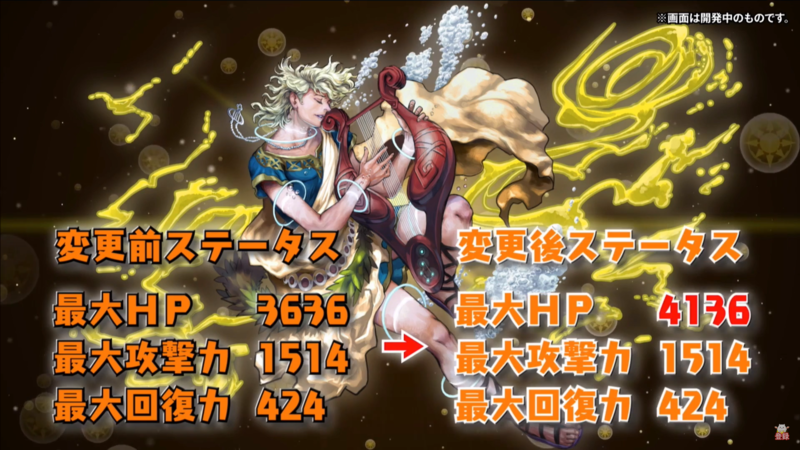 3.5x ATK when matching 3 attributes from Water, Wood, Light, or Heal. Active: 4x ATK for Dragon type for 1 turn. 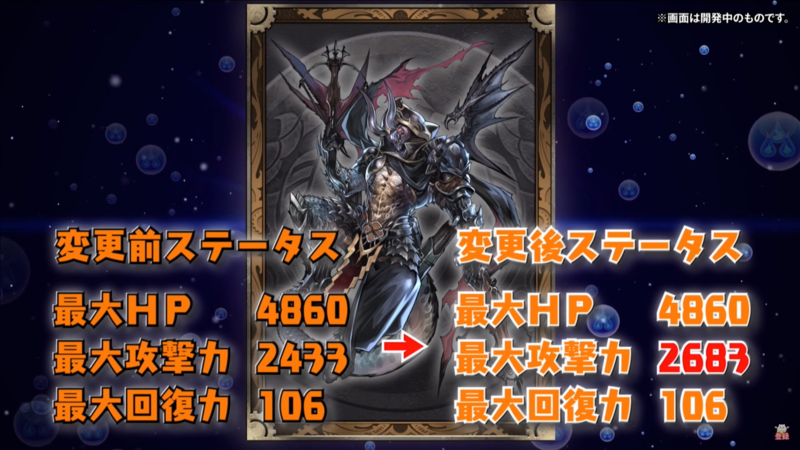 LSkill: 1.5x HP & 3.5x ATK for Dragon. 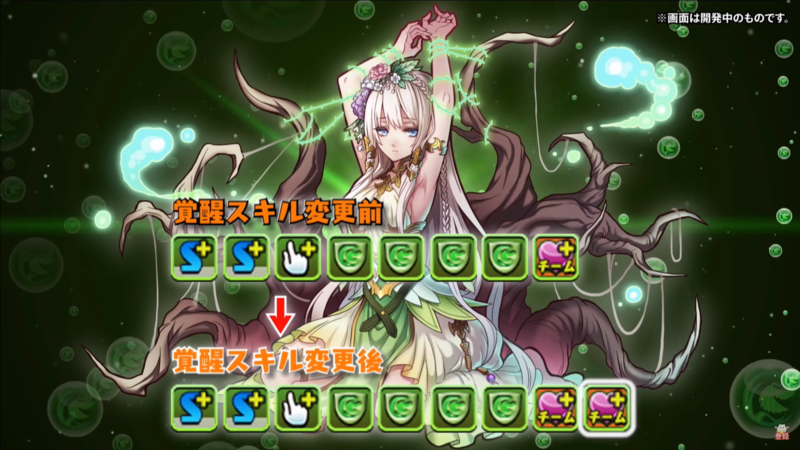 Active: Increase Wood skyfall chance for 3 turns. Delays enemies' next move for 2 turns. LSkill: 2x ATK for Wood. Slight damage reduction. 2x ATK when matching 2 Wood combos, 3x ATK when 3+ Wood combos. Active: Change top row to Light. Change Poison & Jammer to Heal. 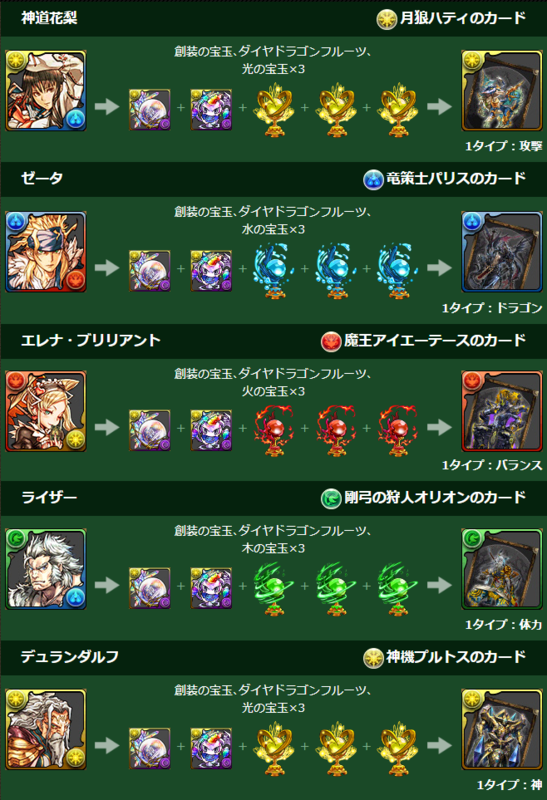 LSkill: 3.5x ATK when matching 6 or more connected Light. 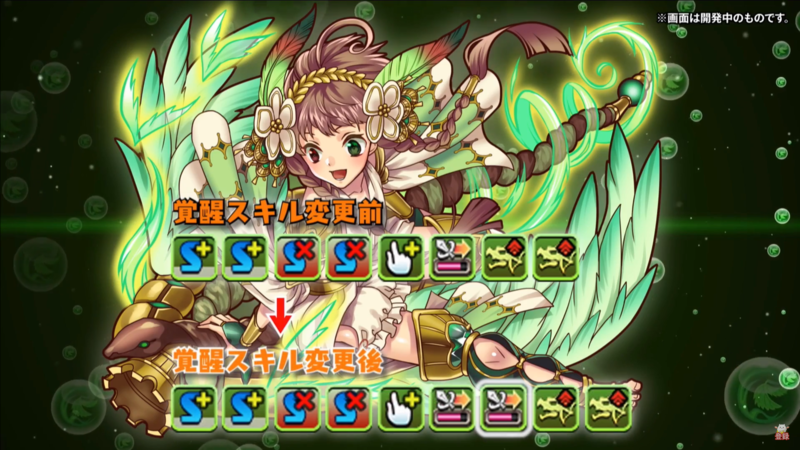 2x ATK and 50% damage reduction after matching a Heal cross. Active: Reduce HP to 1; deal 300x ATK Water damage to one enemy. Change bottom row to Water. 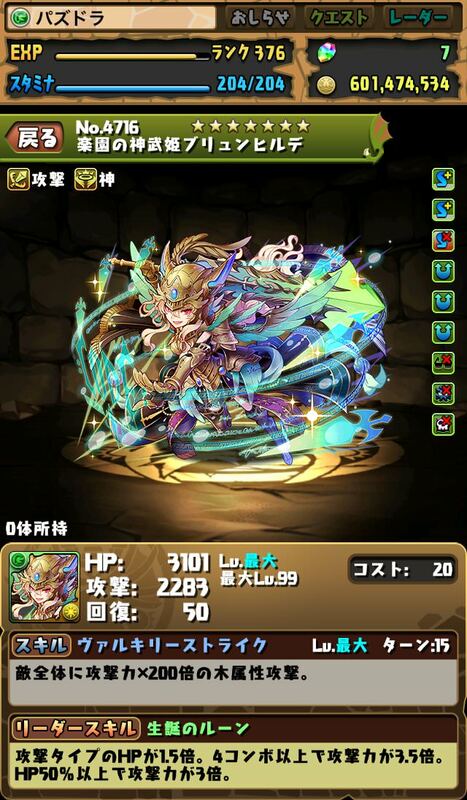 LSkill: 2x ATK when HP > 50%, 5x when HP < 49%. 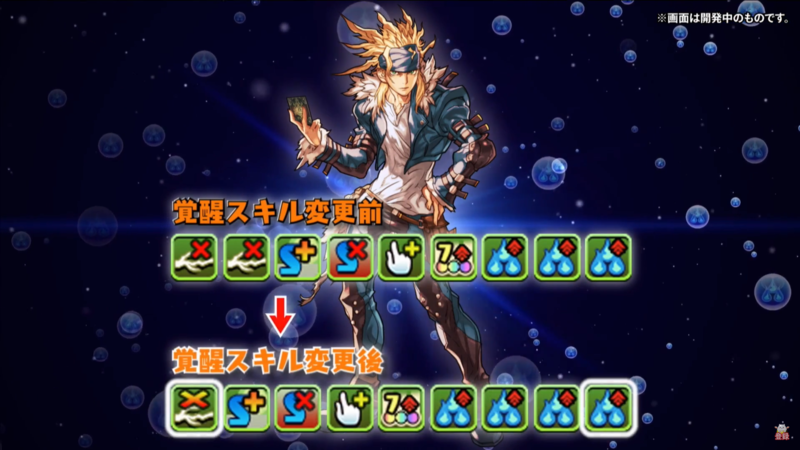 2x ATK and slight damage reduction when matching 6 or more connected Water. Active: Deal 10,000 true damage to all enemies. Change all orbs to Fire, Dark & Heal. 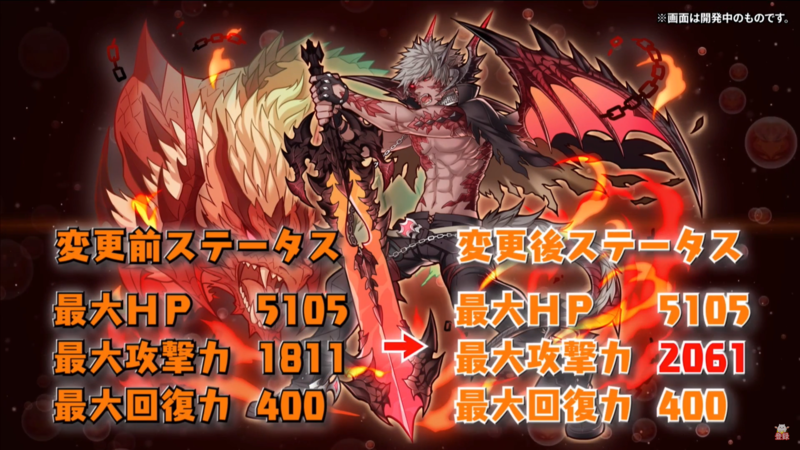 LSkill: 3.5x ATK for Fire. 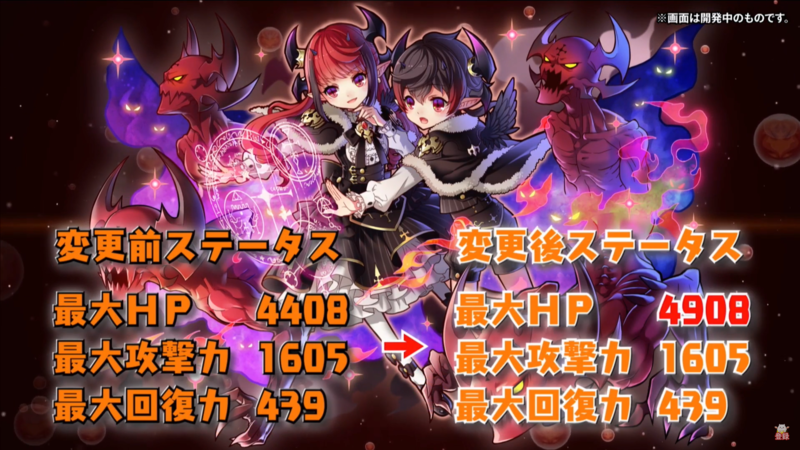 2x HP & ATK for Physical & Devil. 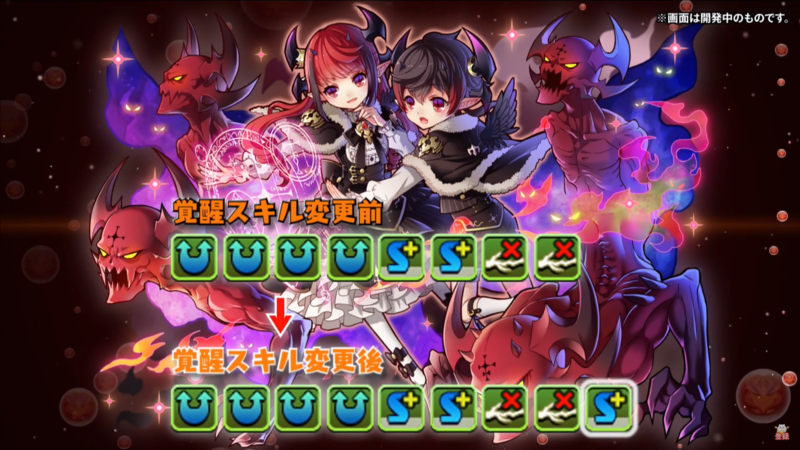 Active: Increase orb movement time by 2 seconds for 1 turn. 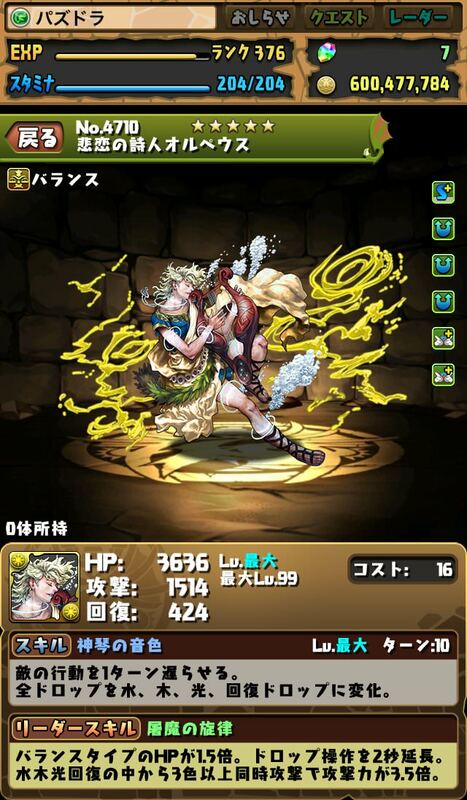 2x ATK & RCV for Light. 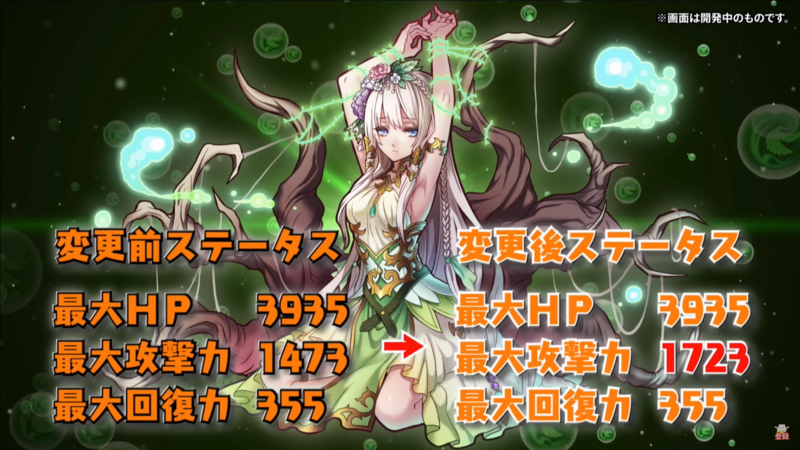 LSkill: 3x ATK & slight damage reduction when matching 6 or more connected orbs. 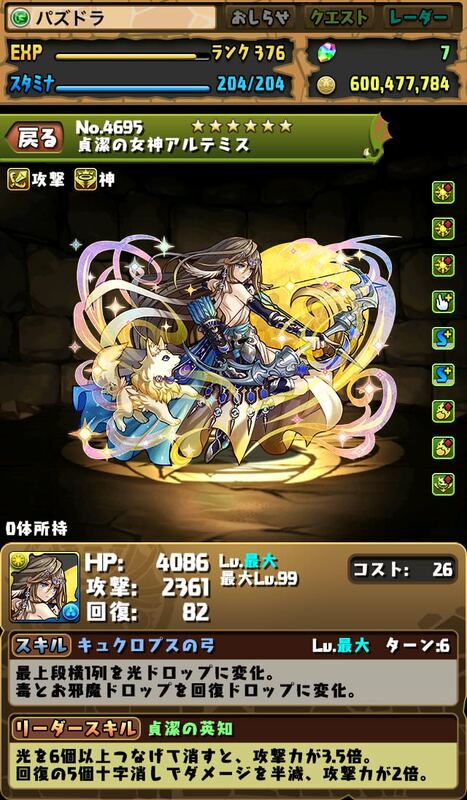 4x ATK when 3+ attributes matched. Active: Recover 50% of max HP. Increase combo count by 1 for 1 turn. 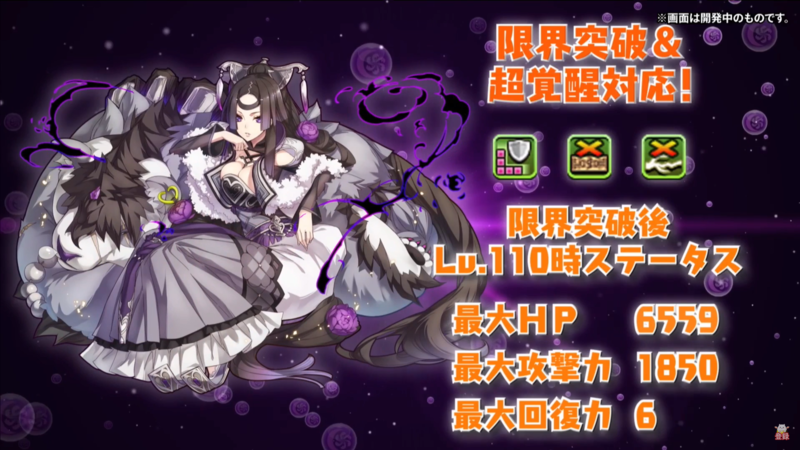 LSkill: 1.5x HP & 3x ATK for Dark. Increase ATK when 4+ combos, up to 4x ATK. Active: Deal damage equal to 5% of enemies' max HP. Spawn Water orbs in the shape of a cross. 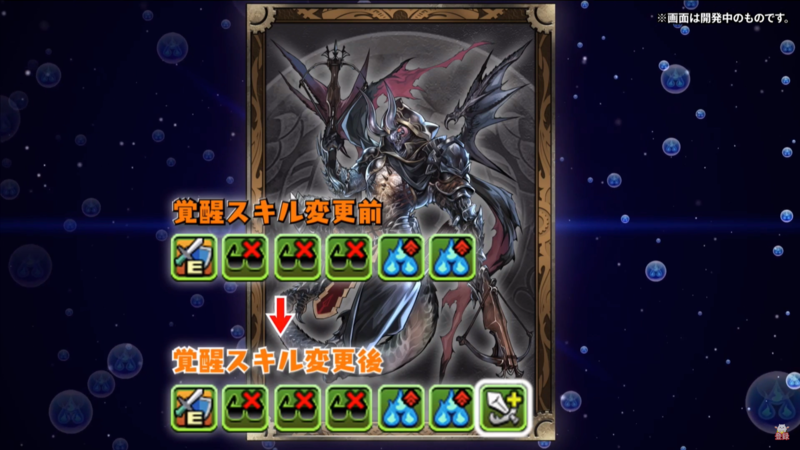 LSkill: [No Skyfall] 2x ATK when matching 6 or more connected Water. 6x ATK for Water. 1.5x ATK when matching 2+ Water combos. 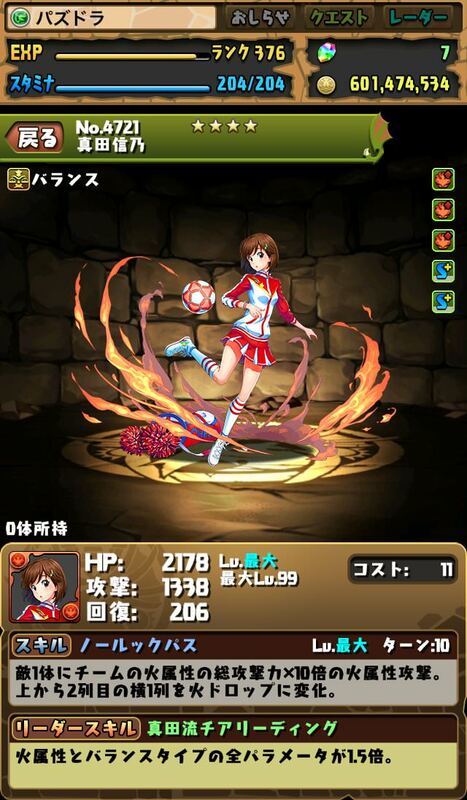 Active: Deal Fire damage equal to 20x of team's total Fire ATK to all enemies. Remove orb locks. Change top row to Fire. 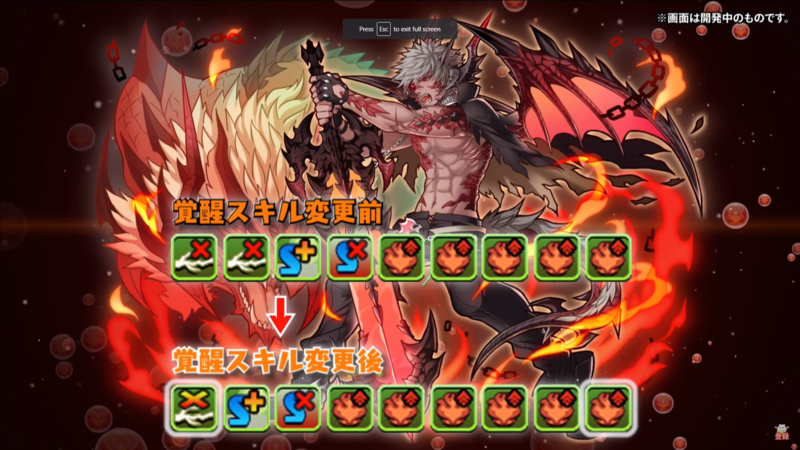 LSkill: 3x ATK & slight damage reduction when matching 6 or more connected Fire. 5x ATK on skill use. Active: Randomly spawn 4 Dark orbs; Delays enemies' next move for 1 turn. LSkill: 2x HP for Dark. 2x ATK when 6 or more combos matched. 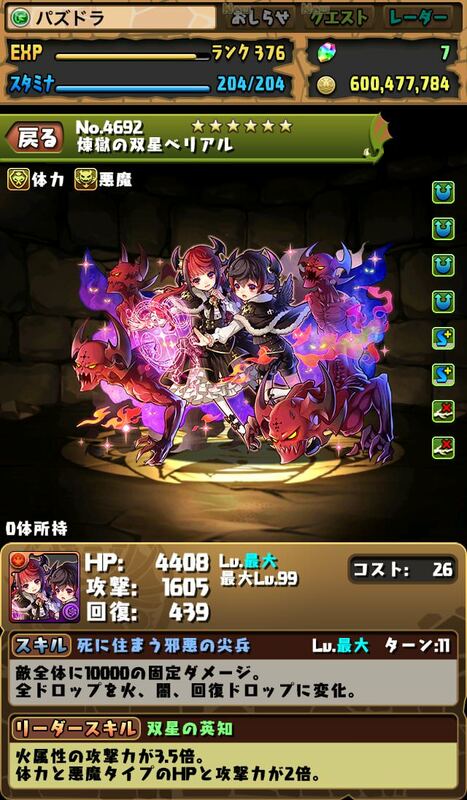 4x ATK when matching 2 Dark combos, 6x ATK when 3+ Dark combos. Active: Reduce HP by 50%. Deal 100x ATK Wood damage to one enemy. Change Fire, Dark, Jammer & Poison to Wood. 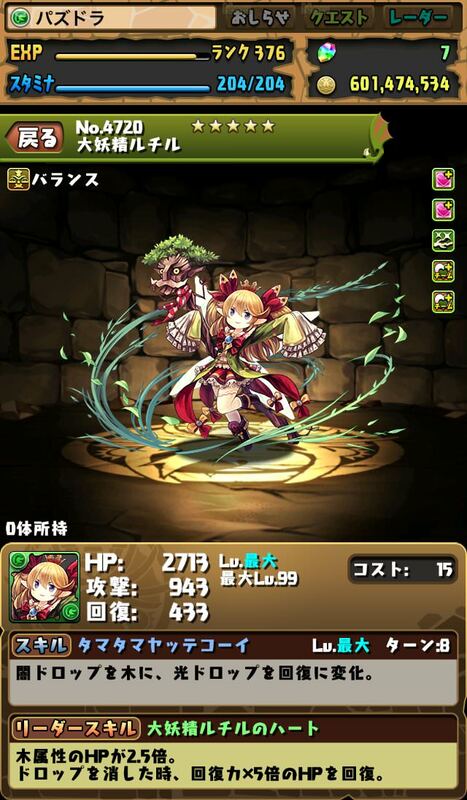 LSkill: 5x ATK & slight damage reduction when HP > 50%. 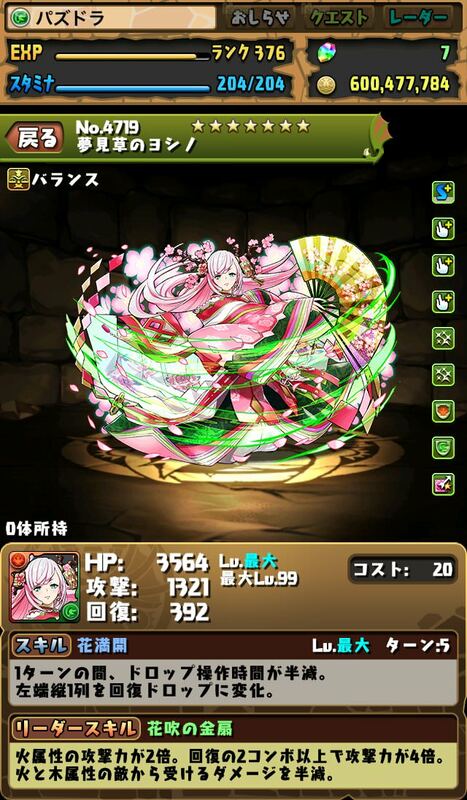 10x ATK when HP < 79%. 1.5x HP & ATK for Wood. Active: Remove orb locks. Change all orbs to Fire & Light. 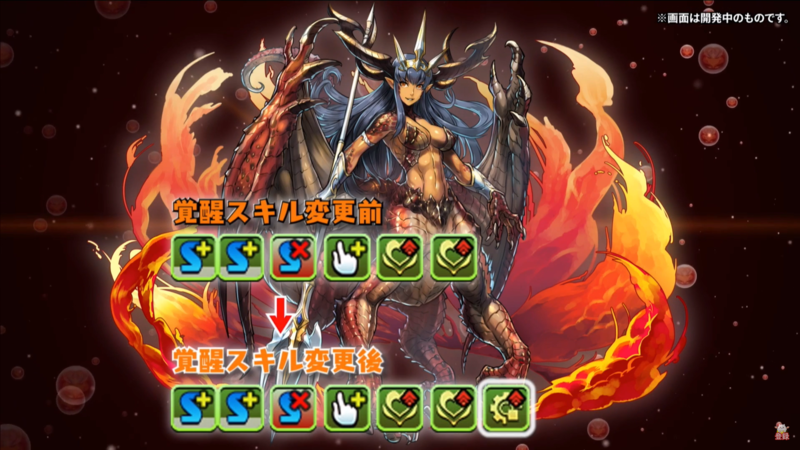 Increase Fire skyfall rate for 3 turns. 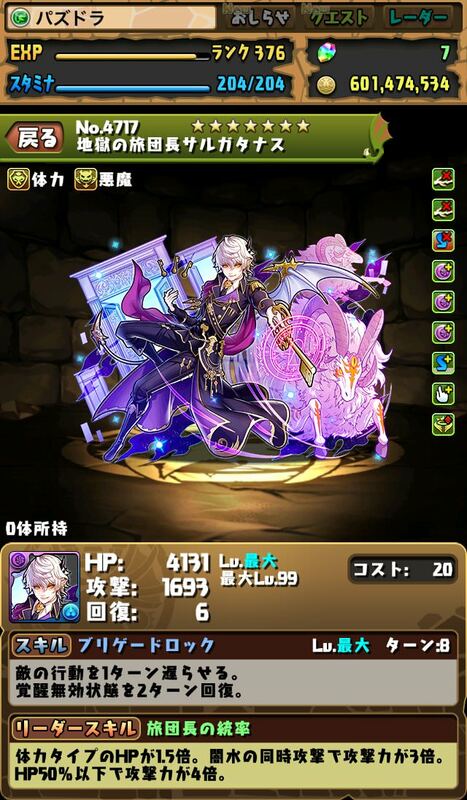 LSkill: 4x ATK when matching 2 Fire combos, 8x ATK when 3+ Fire combos. 2x ATK & slight damage reduction when matching 5 or more connected orbs. Active: Increase combo count by 2 for 1 turn. Change Light & Poison to Water. 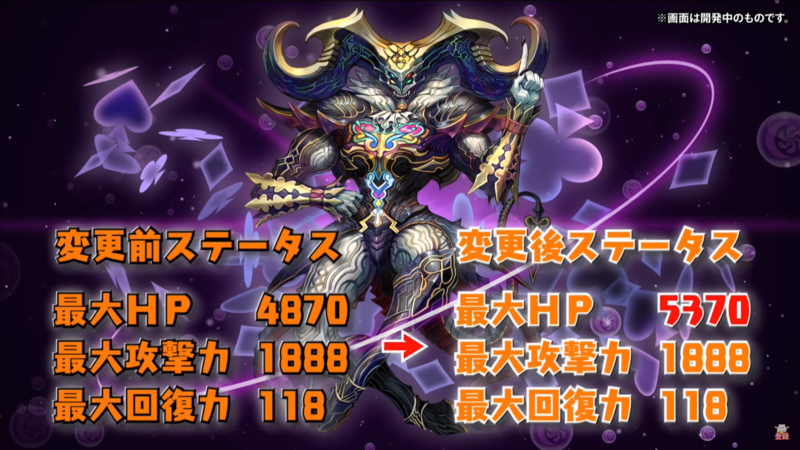 LSkill: 3x ATK & slight damage reduction when 7+ combos matched. 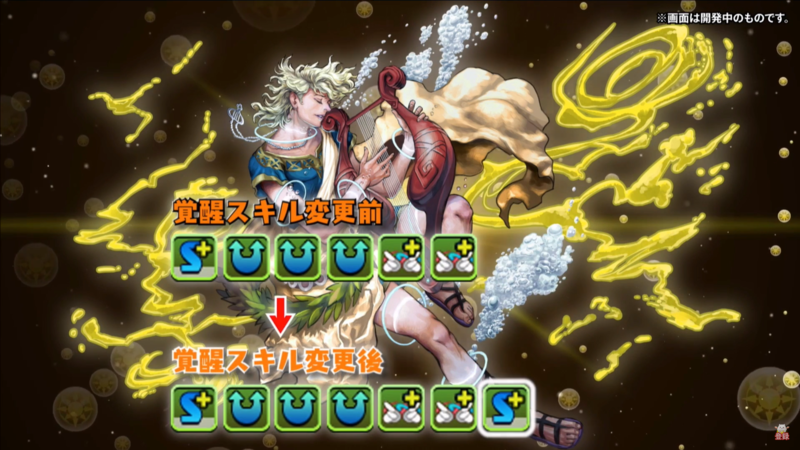 4x ATK & slight damage reduction when matching 6 or more connected Water. 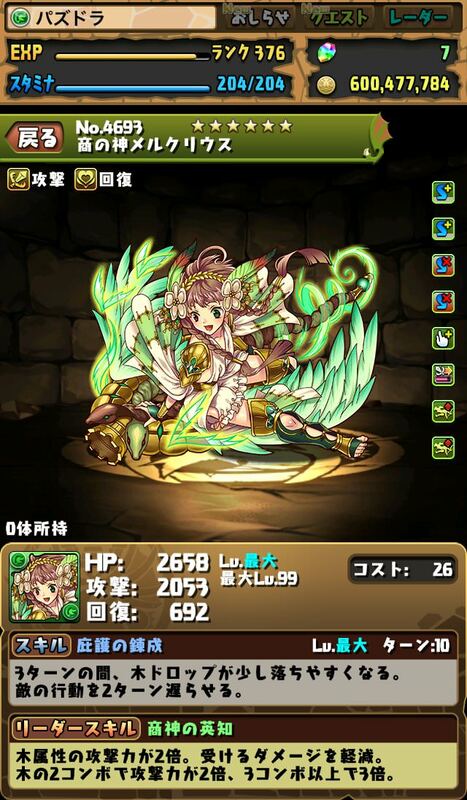 Active: 3x ATK for Light for 1 turn. Change Heal, Jammer & Poison to Light. 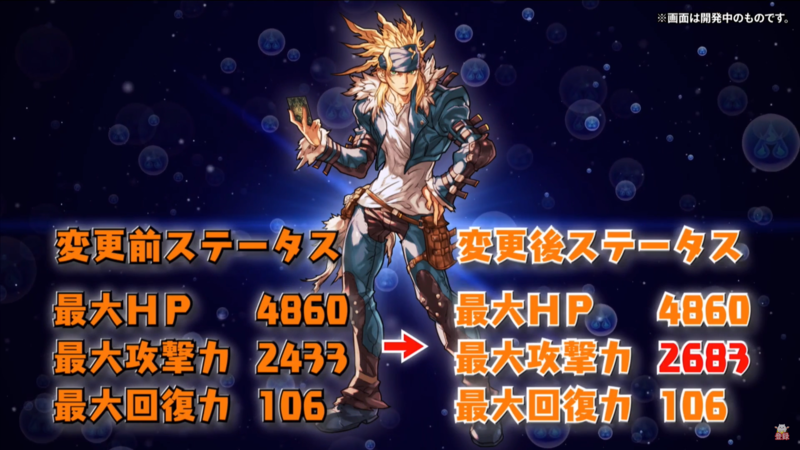 LSkill: 2x ATK & slight damage reduction when matching 4+ attributes. Increase ATK when 4+ combos matched, up to 8x ATK. Active: Deal 300x ATK Light to all enemies. 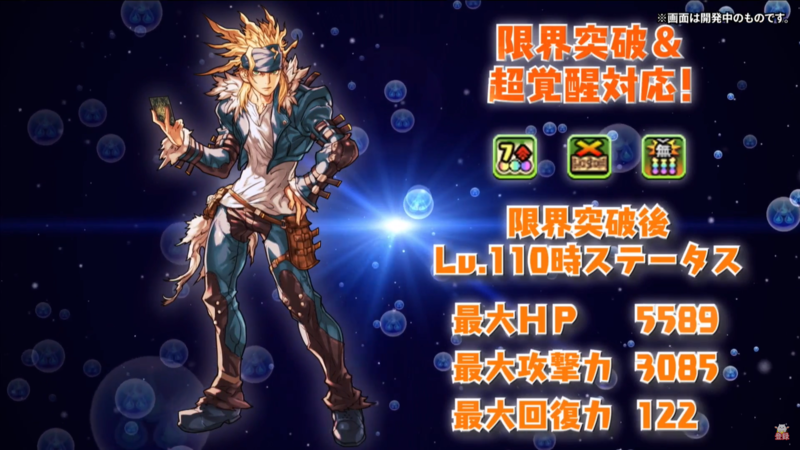 LSkill: 1.5x HP & ATK for Light. Increase orb movement time by 2 seconds. Increase ATK when 7+ combos, up to 7x ATK. Lskill gained "Increase orb movement time by 2 seconds." I LOVE Leo's Design OMG! 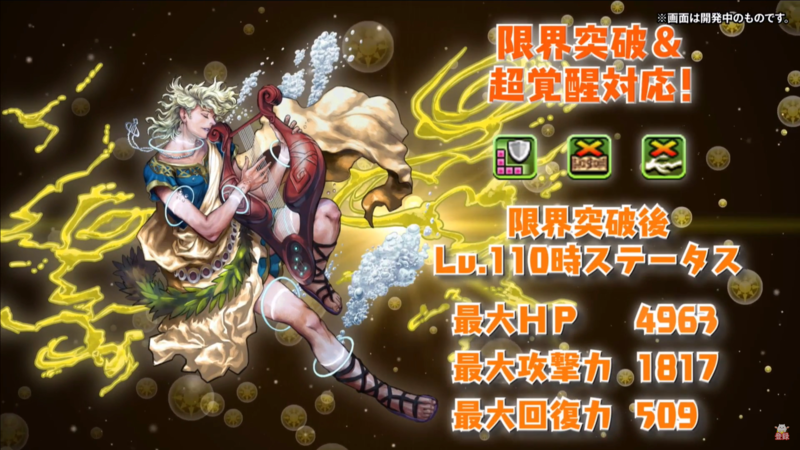 Not counting Atk latents, on color assists or even a multi boost assist, SO135-Arresta will do an interesting 1 098 900 damage on dual lead in coop after every match. 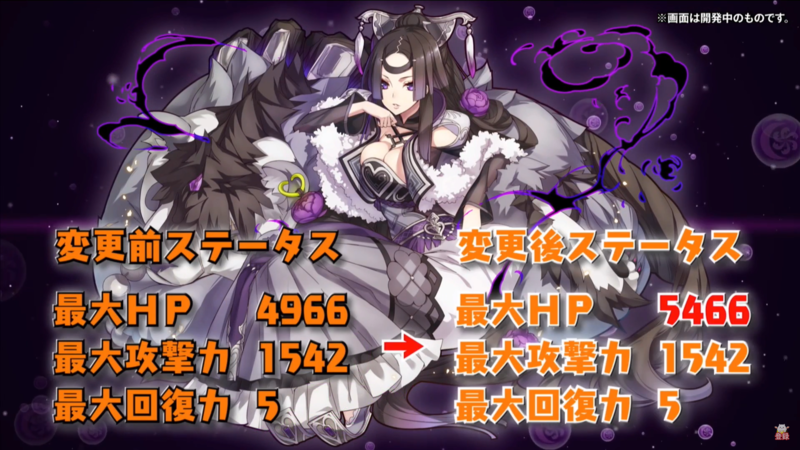 Multiply by her 2 multiboosts (1.5x each) and you get 549 450 atk for each Arresta. None of these cards are super game breaking or anything, but both the MP and exchange cards are interesting. They all seem perfectly viable for most endgame content, with some exceptions.